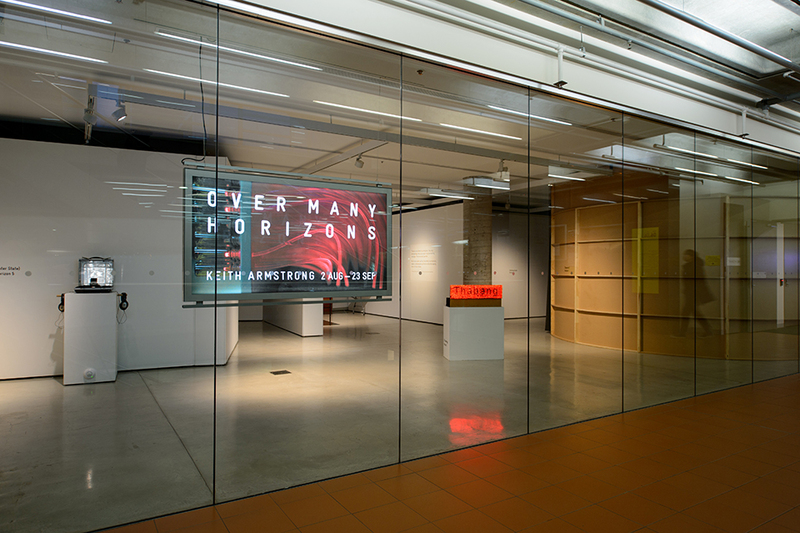 Over Many Horizons is an interactive, experiential exhibition by Keith Armstrong that investigates the mesh of environmental, social and cultural ecologies that form our worlds, asking how might we re-imagine our place and actions within those networks as ‘refuturing’. 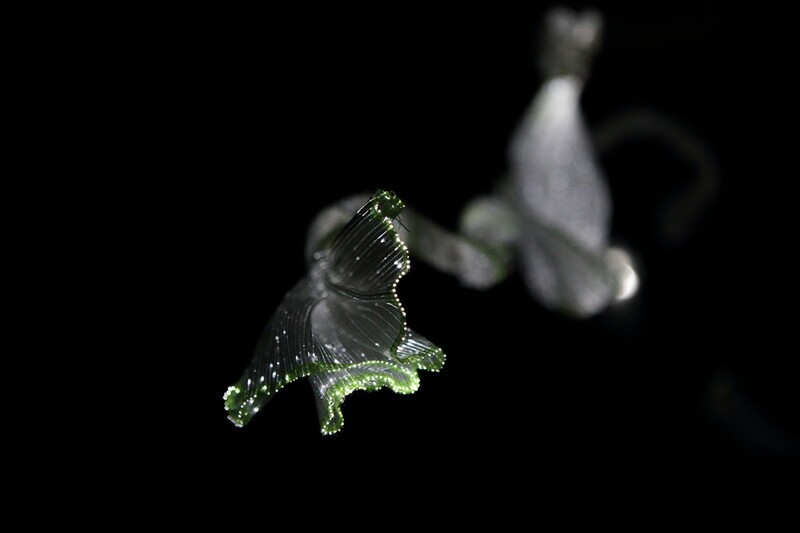 Audiences navigate the works non-linearly, encountering robotically controlled kinetic light works, telescopic tunnels of ethereal imagery and sound and gently pulsing, ambiguous surfaces. 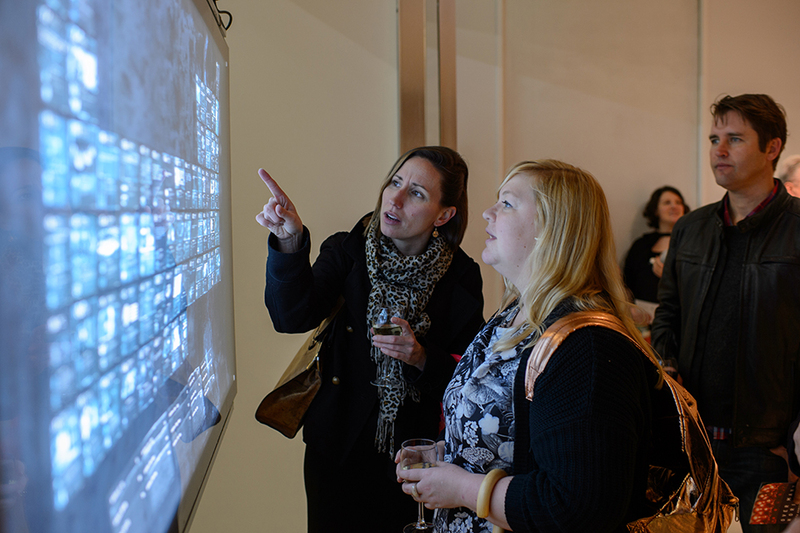 The exhibition dovetails with a range of specially curated participative events and art-science-humanities discussions that ask, why is today’s environmental crisis a crisis of ‘us’, and how must we therefore evolve? Keith Armstrong’s engaged, participative practices have long provoked audiences to comprehend, imagine and envisage collective pathways towards sustainable futures. 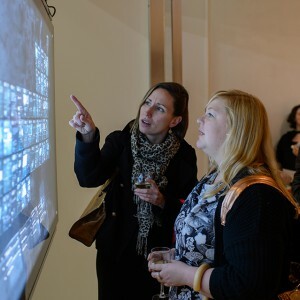 He has exhibited widely in major international new media festivals, biennials and galleries and has produced major commissions at the Powerhouse Museum, the Queensland Museum, the National Museum of Science and Technology Beijing and Media Art China amongst many others. This exhibition was accompanied by a video resource for secondary students, available at our Education Resources page. 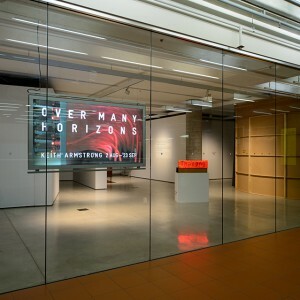 Over Many Horizons Exhibition, Complete from keith armstrong on Vimeo. Keith Armstrong is a part-time Senior Research Fellow at QUT Creative Industries. We thank UTS Science for their support.